Home → Chemicals → Hillyard, Arsenal One, Harmony Air Freshener #3, Dilution Control, HIL0080325, Four 2.5 liter bottles per case, sold as One 2.5 liter bottle. Formulated with a pleasant floral scent that eliminates a wide range of objectionable odors without leaving an offensive, masking perfume smell. 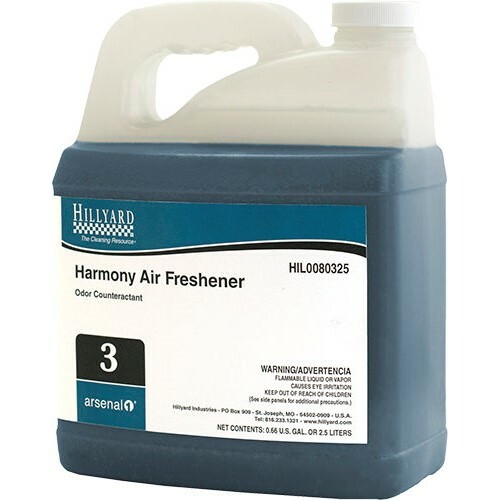 Harmony Air Freshener destroys strong odors quickly and efficiently.